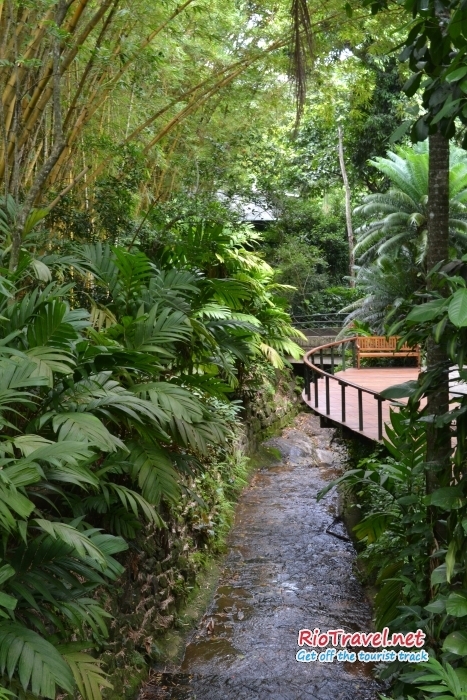 Instituto Moreira Salles - tranquil art gallery with a lush garden. Small but lovely place that could be on your list if you want to get away from the standard tourist route. 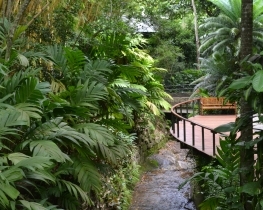 Moreira Salles Institute is located in a charming and very green Gavea neighborhood. 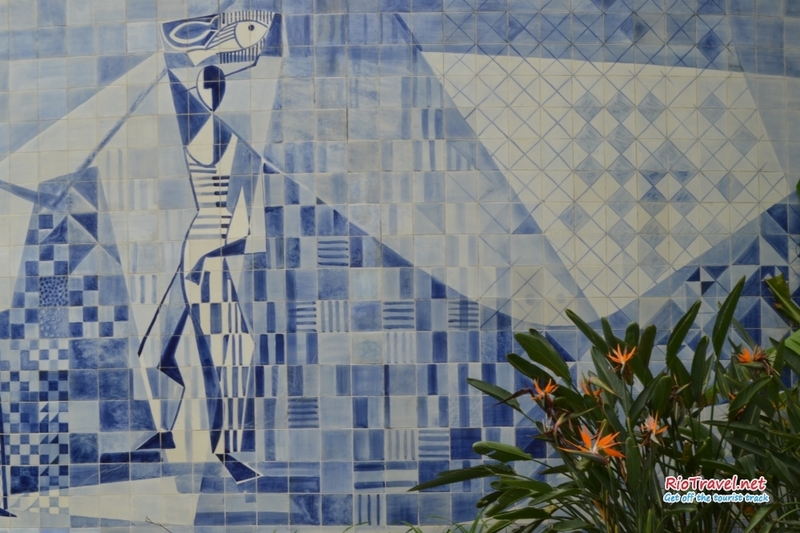 Its main purpose is to promote cultural projects in photography, literature, cinema, visual arts and Brazilian music. The institute features photography and art exhibitions, a cinema, beautiful gardens, an art shop and a cozy cafeteria. 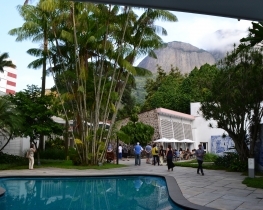 In the green and quiet neighborhood of Gavea you will find even greener and very tranquil art gallery – Instituto Moreira Salles. This is a museum that is worth a visit. The quiet villa with a lush garden, ponds and a creek always makes me feel relaxed. Go there, have a tasty lunch, visit all the different expositions, take a stroll in the gardens and if you are in luck, see a movie in their small cinema hall. Unwind from the busy streets of Rio. The Moreira Salles Institute (IMS) was founded in 1992 and now operates mainly in 3 locations: Rio de Janeiro, São Paulo and Poços de Caldas. 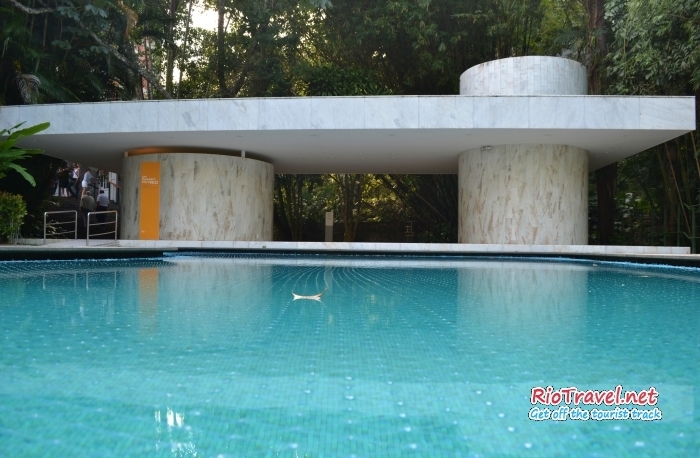 The Rio unit once belonged to its founder - Walter Moreira Salles, who was a well-known Brazilian banker and politician. IMS is dedicated to promoting cultural programming for the public. Numerous exhibitions, concerts, lectures, film festivals and other events are held here. 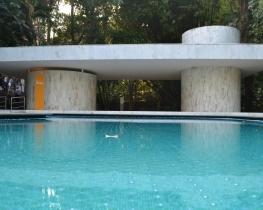 Besides the cultural heritage, the house is an attraction on its own – a landmark of modern architecture of the 1950s, surrounded by lush gardens. 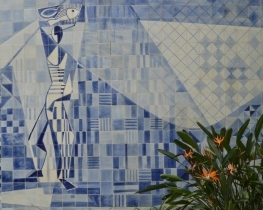 In one of the halls you will find a permanent photography exhibition “Rio: primeiras poses” (First Poses) which is dedicated to the 450th anniversary of Rio de Janeiro and shows the city views from the past centuries (1840-1930). Unbelievable how rapidly the wonderful city has grown! 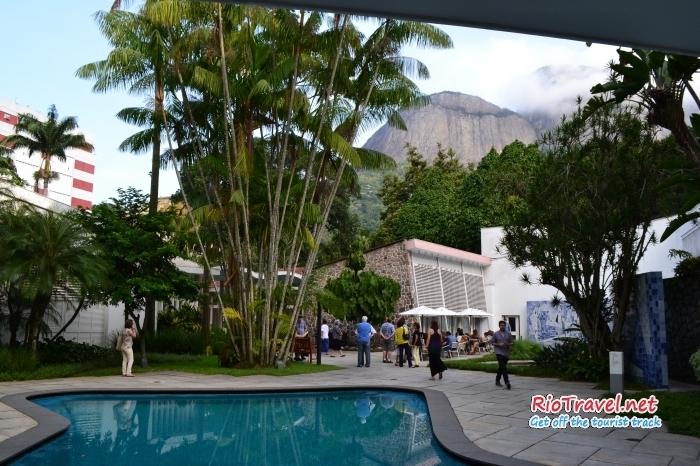 Combine your visit with exploring Gavea neighborhood. IMS has a small cinema that shows interesting films and documentaries. Find the schedule from their website. Almost all Rio's museums are closed on Mondays. Check the museum's website for exact information. 1. Take the blue Metro bus (Metro na Superficie) to PUC university (last stop). 2. Walk through the university campus. 3. You will end up on Marquês de São Vicente street, continue to left, up the hill. 4. At the gas station crossing follow the street to the right. 5. Soon you will see the IMS on your right.